It’s not everyday that we get the opportunity to work with churches who are in the midst of a church planting movement, but with Veritas Church that’s exactly who the CCI Solutions team was fortunate to partner with. Veritas Iowa City, which began as a ministry plant to the University of Iowa itself, realized in 2012 that eighty people were driving down from Cedar Rapids, IA every week just to attend church there. With that revelation it was decided that Veritas Cedar Rapids needed to be born. On March 31st, 2013 (Easter Sunday), Veritas Cedar Rapids held their first service in a downtown bar. Within 6 months they had outgrown the bar and moved into the Doubletree convention center, which too saw incredible growth, driving the need for a permanent home for this young church. With such a strong focus on young families and college students, any technology implemented had to blend quality with cost effectiveness, and flexibility with capability. 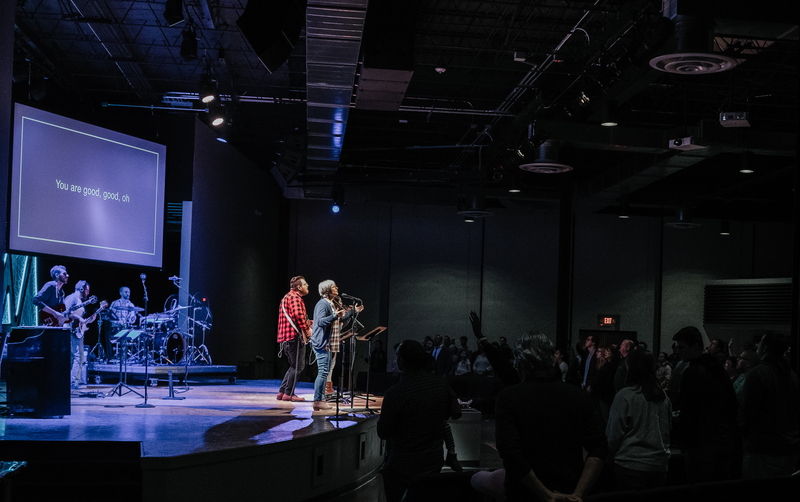 The audio system at Veritas handles that blend perfectly with a L-Acoustics ARCS Wifo speaker system, which covers the room well, can get up and rock for worship, but also has excellent articulation for speech. An Allen & Heath D-Live S7000 console with digital snakes handle the mixing duties, with Shure QLXD wireless and Audix, Heil, Sennheiser, and Shure wired microphones handling the inputs. Lighting presented some unique challenges for this space with a large skylight covering nearly half of the main floor seating area. House lights had to be able to keep up with the potential brightness of the sun shining through the skylight, which was capably handled using the Axceleron house fixtures from Aquarii. For stage lighting, Chauvet Ovation 910-fc ellipsoidal fixtures handle all front lighting responsibilities while Chauvet Rogue R2 wash fixtures handle all color washing and scenic lighting. Add in a Jands Vista S1 and ECHO system for overall programming and control, and you have a lighting system that is elegantly simple while creating vast amounts of color, all available at your fingertips. Video shared the challenge of the skylight, with two large screens located up stage right and left. Hitachi LCD projectors with Da-Lite screens were up to the challenge, and handle all of the graphic and video playback Veritas uses in their services to engage people in worship and the Word. 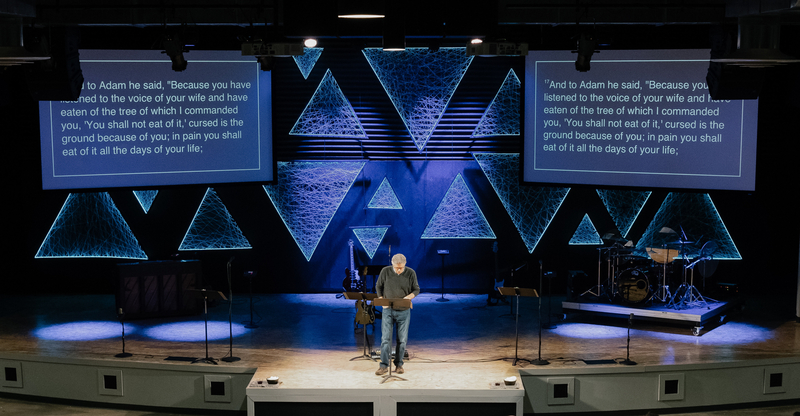 A ministry that is both rapidly growing but thinks small and focuses on community and student outreach, the new Veritas Church campus opened in 2016 and has only begun to reach the city of Cedar Rapids.